For this weekend's FPAC Open Studios, Bob's Your Uncle, will be hosting the first solo show of Marting Donnell. Martin Donnell has worked as a designer in the athletic footwear and toy industries for over 20 years. 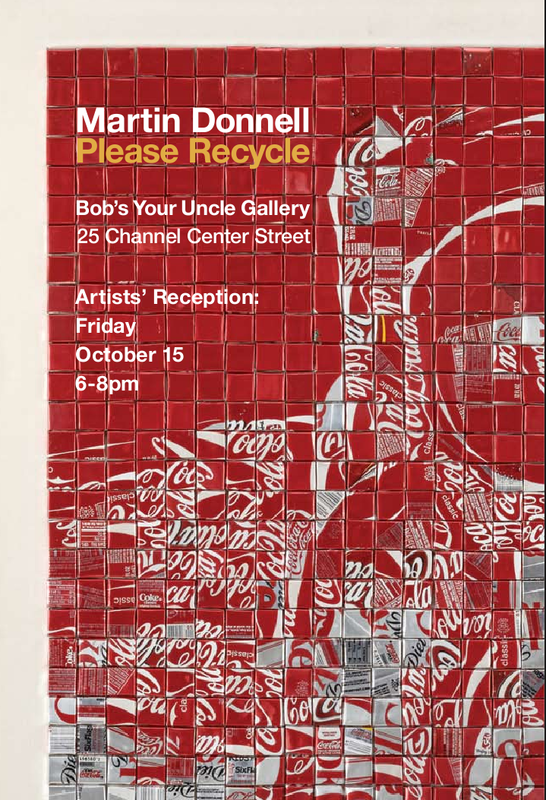 In his artwork, he uses recycled soda cans and images to explore themes of American culture and consumerism, and it’s influences on our world. There's an opening reception Friday, 10/15, from 6-8pm. Dude. So cool. So excited.